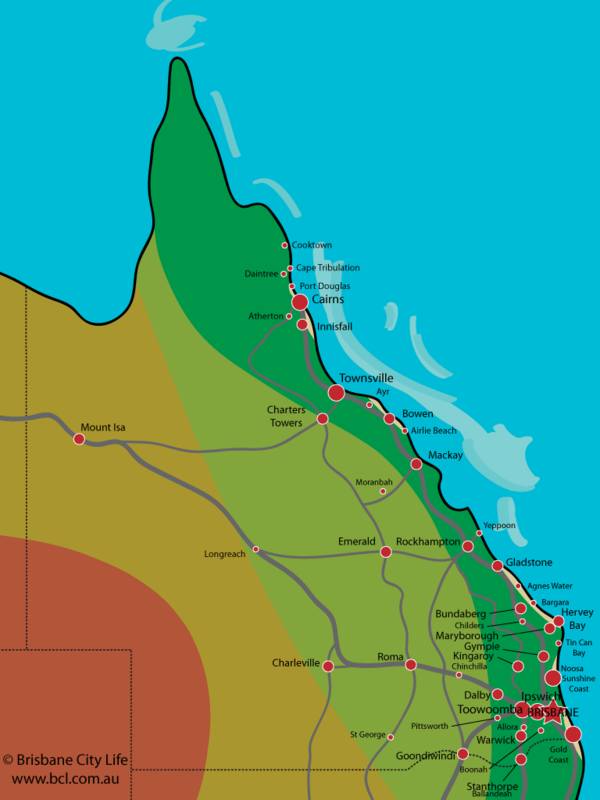 This map shows major roads throughout Queensland. Note that major roads outside the main city areas are of varying quality and journeys require some research and planning. Click on the red dots to go to the page for that town. Booking.com charges NO cancellation fees. You can see each hotels individual cancellation policy on their hotel information page. In most cases you can change or cancel your booking up to a day or two before the stay at no charge.